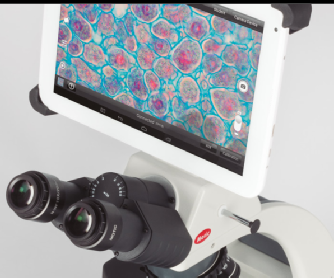 The Moticam BTU8, BTU10 and BTW - open a new dimension in interactivity for microscope work that will help teachers, students or any microscope user in possession of traditional microscopy material, by making it easier to visualize images and to share the microscope experience with others around you. 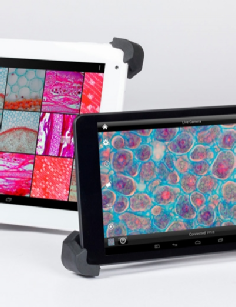 Capture, edit and share your microscope image right on your microscope with these easy-to-use tablet cameras, controlled through its intuitive interface, with the help of our free App MotiConnect. The android tablet is easily detachable and replaceable and is completely separate from the camera, therefore providing maximum flexibility. tablet (up to 10") onto it. 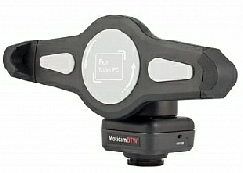 It can be connected via USB to a Windows based tablet, or through its built-in Wi-Fi to an iOS or Android tablet.